Need a Vehicle Problem Solved? 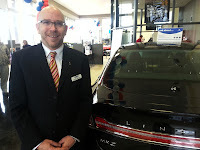 Heiser Chevrolet Has Just the Man for You! One of the things that make a company a great place to visit is its people. +Heiser Chevrolet is thrilled to have a Service Advisor that brings a smile to our customer’s faces. Pete Cooney is one of the go-to guys at our dealership because of his proven problem-solving talents. This September, he will be celebrating 9 years with the Heiser Family, and oh, how he is appreciated. Pete enjoys the challenges and fast pace of being in an automotive service department. He encounters a lot of problems when diagnosing a vehicle. But, for Pete, that is the best part of the job! For many customers, the problem may be the unexpected cost. Pete is always sure to convey which is the most urgent work needed to put the Heiser customer back on the road safely. Thus, repairs overseen by Pete are sure to deliver the highest customer satisfaction. Many of Pete’s colleagues comment on how he makes each customer feel comfortable and confident in the work Heiser is providing. He obviously believes each encounter deserves top-notch attention. Pete makes sure the customer understands exactly what is needed for their vehicle. He prides himself in answering every question thoroughly. It’s no wonder the customers appreciate him! Outside of the service department Pete is an avid baseball and softball fan. He can be found cheering on the +Milwaukee Brewers at Miller Park, when he has a chance to see a game. Pete also enjoys reading and watching movies from his large home entertainment collection. 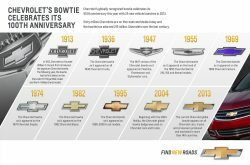 Chevrolet’s globally recognized bowtie celebrates its 100th anniversary this year with 25 product launches helping the symbol find new roads around the world despite an origin that is still uncertain. In 1913, +Chevrolet co-founder William C. Durant introduced the signature Chevy bowtie on the 1914 Chevrolet H-2 Royal Mail and the H-4 Baby Grand, centered at the front of both models. Sixty million Chevrolets are on the roads worldwide today and the bowtie has adorned 215 million Chevrolets over the last century. A Chevrolet car, crossover or truck is sold every 6.39 seconds in one of 140 countries, and the brand set a sales record of 2.5 million in the first six months of this year. The bowtie’s centennial is marked by new entries, such as the Cruze Clean Turbo Diesel compact sedan in the U.S. But in a 1968 interview, Durant’s widow, Catherine, said the bowtie design originated from a Hot Springs vacation in 1912. While reading a newspaper in their hotel room, Durant spotted a design and exclaimed, “I think this would be a very good emblem for the Chevrolet.” Unfortunately, Mrs. Durant never clarified what the motif was or how it was used. But that nugget of information inspired Ken Kaufmann, historian and editor of The Chevrolet Review, to search out its validity. In a Nov. 12, 1911 edition of The Constitution newspaper, published in Atlanta, an advertisement appeared from by the Southern Compressed Coal Company for “Coalettes,” a refined fuel product for fires. The Coalettes logo, as published in the ad, had a slanted bowtie form, very similar to the shape that would soon become the Chevrolet icon. 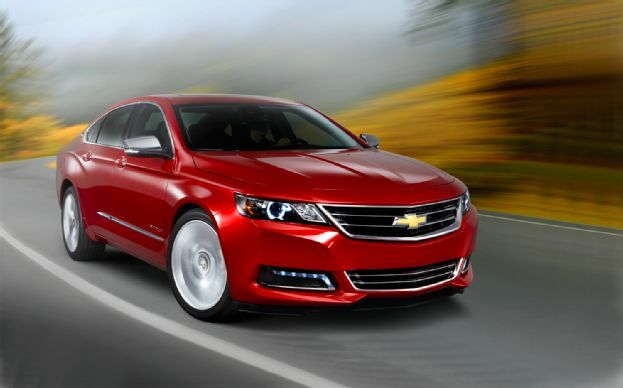 The 2014 Chevrolet Impala +Chevrolet Impala has received the highest possible five-star Overall Vehicle Score for safety as part of the National Highway Traffic Safety Administration’s New Car Assessment Program. The redesigned, full-size sedan presents one of the most comprehensive collections of standard and available safety features in the segment. It employs advanced technologies to help avoid crashes. Visual and audible alerts help drivers identify potential crash situations and even intervene when a crash threat appears more imminent. The alerts are designed to identify potential threats with sufficient warning to give the driver time to react and make changes. 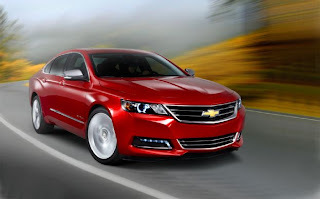 The advanced, crash-avoidance technologies complement the Impala’s occupant protection features to keep owners safe, including 10 standard air bags. Impala also employs systems that enable greater vehicle control, including standard StabiliTrak electronic stability control system, all-speed traction control, four-wheel disc brakes with four-channel antilock brakes and electronic brake force distribution, which ensures optimal braking force at both axles for maximum stability under heavy braking. Also, OnStar is standard. It uses GPS and cellular phone technology to automatically call for help in the event of crash. OnStar service also includes MyLink mobile apps, which offer vehicle information and OnStar services via the customer’s smartphone. Heiser Chevrolet is continuing its support of West Allis-area youth baseball and baseball fans through the Chevrolet “Diamonds & Dreams” program. Residents are encouraged to register online at www.chevybaseball.com for a chance to win a baseball field makeover that includes new equipment for their community, and an all-new, 2014 Chevrolet Impala* for themselves. The sweepstakes will run through July 31st. 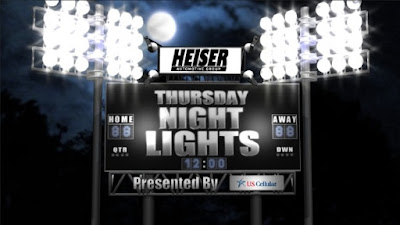 “Every young person wants and deserves a well maintained baseball diamond, and we offer them a chance to get one,” said Brian Crandall, General Manager of Heiser Chevrolet. In its fourth year, “Diamonds & Dreams” has organized 42 youth field makeovers across the country. “From the back yards to the big leagues, Chevrolet is committed to community and youth baseball and giving back to where our customers live, work and play,” said Mike Weidman, Chevrolet National Promotions Manager. As the Official Vehicle of Major League Baseball™, Chevrolet has continued its support of +MLB to youth baseball players in communities across the country through the Chevrolet Youth Baseball (CYB) program. In its eighth year, CYB has helped raise funds to aid local teams, affecting more than 3 million young people in communities across the country. This year, over 1,600 Chevrolet dealers are back participating.